Stability of Firmware: Need further evaluation. Notes: Updating firmware is easy and quick: Download firmware to FAT USB disc; insert it to KineRAW USB port; choose upgrade firmware in Config Menu. Less one minute, the update job is done. It takes effect after reboot. 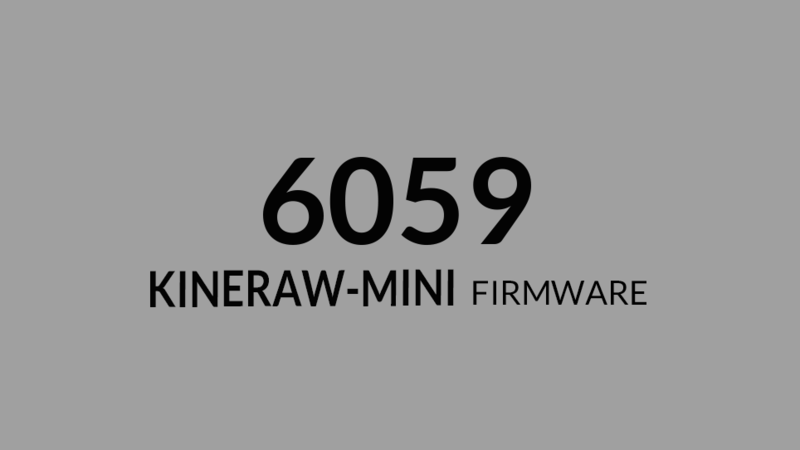 This entry was posted in Downloads, Firmware and tagged Firmware, Firmware, KineRAW-MINI.